You might find it difficult to gather the required information to complete the 1120S return before the due date. Filing for an extension - Form 7004 will provide an additional time for filing a complete return but it won’t allow you to postpone the payment of the taxes that you owe. Add Business Details - Enter the basic business details like EIN, Address, & Primary Contact. Choose your Form - Select the S-Corporation Tax Extension Form 7004. Make a Payment - After filing the necessary details, review your Form and make the payment. 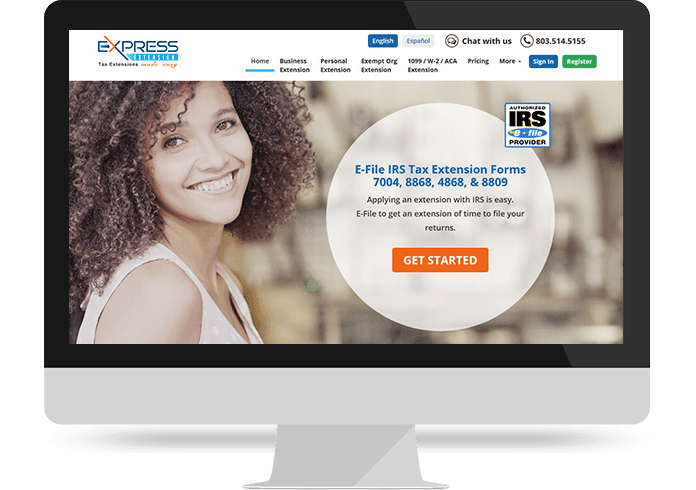 Transmit your Form - Once you have made the payment, then you can transmit your S-Corporation extension form 7004 to the IRS. The due date for filing S Corporation taxes is March 15th, 2017. So, if your tax years ends on December 31st, you must make sure that your S Corp taxes are filed on or by March 15. Now if you have filed the Form 7004, the S Corp Tax Extension form, you have 6 months of time in filing your returns. So, if your tax year ends on Dec 31st, then your deadline for filing tax return will be October 15th. Here you can print the copy of the Form 7004 and its instruction from the IRS website. After filling it, you can send it to the IRS by post. This is the method where you can complete the form online and e-file it. In addition, you don't need to get the 1120S extension form signed or dated. Note: -Now if you are filing Form 7004 on paper but filing the tax return electronically, your return will get processed before the extension is granted. This will lead to a penalty notice. If the S Corporation fails to file 1120S by the due date or by the extended due date using S-Corporation Tax Extension 7004 form, then IRS will impose a small penalty. This penalty will be $195 for each month or a part of the month when the return was late multiplied by the number of shareholders.